The Philadelphia skyline in October 2017. As economists and real estate experts look ahead to 2019, many say they expect the real estate market to cool. It may be hard to believe, but 2019 is right around the corner. And economists and real estate experts are already predicting what a new year will bring to the housing market. Both nationally and in the Philadelphia region, the 2018 residential market offered some much-needed relief to home shoppers, who for the last few years battled bidding wars and rising prices as they searched for a new home. In 2019, experts believe, a slowdown of the region's hot market will continue. The Inquirer surveyed market observers to compile a list of real estate predictions for the region in 2019. Here are the top five. Interest rates will continue to rise, squeezing buyers and slowing demand. After hovering for the last three years in the 3 percent range, the average rate on the 30-year fixed mortgage has hurtled toward 5 percent in recent weeks, representing a nearly one percentage point increase compared to the start of 2018. Economists say they expect mortgage rates to rise even further next year, especially as the Federal Reserve has indicated that it may raise rates multiple times in 2019. Compared with the early 1980s, when mortgage rates climbed as high as 18 percent, the increase in today's rates may not seem like a big deal. Historically, today's average rate on the 30-year fixed mortgage is lower than it was during the housing boom of the 2000s. Yet the last time mortgage rates hovered this high was in early 2011. The increase to a 5 percent mortgage rate and beyond, economists say, could turn away buyers who are already stretching to purchase a home. Mortgage rates have been on the upswing since 2017 but still remain low by historic standards. "Obviously, the higher that rates go, the less people can afford to pay when they are out in the market," said Aaron Terrazas, a senior economist at Zillow Research. "They should rise from about 4.8 percent to about 5.8 percent by the end of next year. "I think that will be the major force shifting the housing market over 2019," he said. The single-family housing market will continue to cool — but not crash. After experiencing an unprecedented real estate renaissance for the last few years, the Philadelphia region is finally beginning to see housing prices slow. In both the second and third quarters of 2018, home values in the city appreciated 0 percent, meaning that the typical Philadelphia home is worth no more today than it was one year ago. 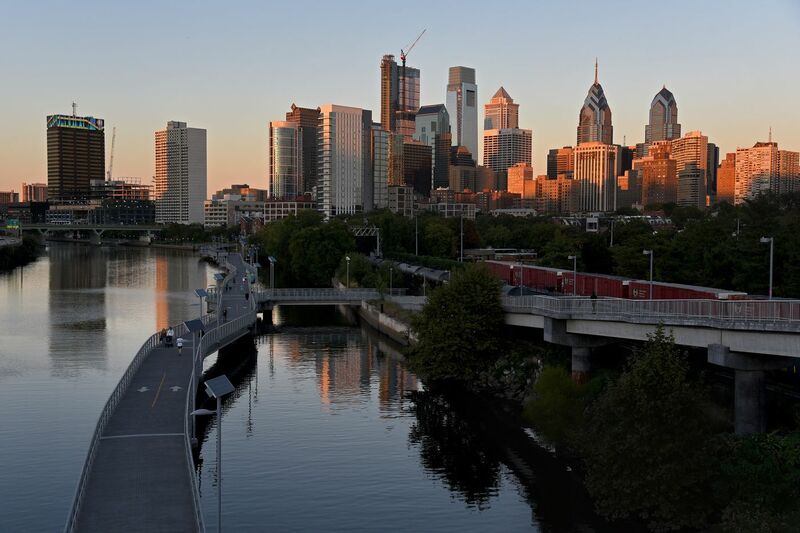 Experts believe that the sluggish growth in values reflect, in part, a buyer population that is tired of competing for homes — especially in Philadelphia, which has been a red-hot market. After years of bidding wars and price increases, many have decided to wait on the sidelines until prices become more affordable. "I think perceptive buyers started to step back and say, 'Is this something I can wait on for a little while? Is there something I can afford in the coming months as prices moderate further?' " said Cheryl Young, a senior economist at Trulia Research. "With home prices tracking up, we really have not seen comparable wage increases over that period of time." Still, economists said, the market will not tip in the favor of buyers just yet. Terrazas, for example, believes sellers will still have the upper hand through much of 2019. Others say the region's recent slowdown is not a sign of bigger crash but rather a temporary decline as prices adjust to more normal levels. "We have had pent-up demand and low inventory, things that … would naturally increase prices," Young said. "It's certainly not a bubble in the way that it was before, in that we could anticipate a large price drop and devaluation of homes." Philadelphia apartment rent prices will level off, but condo sellers might be in luck. With the high prices of single-family homes keeping some buyers out of the market, it would be natural to think that apartments could see a surge of demand. But Gillen, the Drexel economist, thinks that Philadelphia still has a lot of new apartment supply to sort through before there is any significant jump in rent prices. And even while rent prices have ticked up slightly in recent months, according to some measurements, Gillen said that trend is not necessarily here to stay. The rise in prices could stem from luxury units hitting the market, driving median and average rent rates upward. Some analyses may also not factor in concessions, such a month-free of rent for new tenants. According to Zillow-owned HotPads, those concessions have been on the rise in Philadelphia. Nevertheless, Gillen believes, rent prices will soften as the market absorbs the new supply. Already, the vacancy rate in Center City was 10.2 percent in the second quarter of 2018, Cushman & Wakefield, a commercial real estate services company, said in a report, with that number expected to rise by the end of the year. "There is currently an oversupply of rental housing, but it will be absorbed in a reasonable amount of time," Gillen said. "It's just a normal cyclical fluctuation, not a bubble." The situation, however, could be different for the Philadelphia condominium market. Unlike apartments in the city, the supply of condos is low — and, according to Gillen, demand is high. Between April and June, 824 condos sold in the city, marking the highest quarterly volume of sales since 2007. "The condo market will continue to outperform the market for both rental apartments and singe-family homes," Gillen said. A view of Independence Mall from the 23rd floor of the 500 Walnut condo tower last year. Some units remain unsold, yet Kevin Gillen, a Drexel University economist, expects the condo market to continue to heat up in 2019. New construction will slow more than it already has. After falling dramatically during the Great Recession, housing starts — the number of new housing units that have begun construction — have slowly climbed but still remain far below where they were during the housing bubble of the early 2000s. Economists expect sluggish growth to continue — or, even get worse — next year. Since the recession, the construction industry has battled labor shortages, as well as a rise in land and material costs, which have tempered the number of newly constructed homes. In addition, many of the new properties that have been built have been targeted to buyers looking for their second or third homes, where margins for builders are greater. That has further exacerbated the region's — and nation's — starter-home shortage, and has further kept first-time and low-income home buyers out of the market. "What we're really concerned about and what remains to be seen … is increases in the starter-home segment," Young said. "It will still be tough for first-time home buyers." Workers prepare a foundation at a new active-adult community built by Paparone Homes. While housing starts have been slowly rising, they still remain low. Economists attribute that to rising costs of labor, land, and materials. Discussion of the future of Philadelphia’s 10-year tax abatement will continue. For the last two years, concerns around Philadelphia's 10-year tax abatement — the policy that allows for new construction or improvements to existing properties to receive tax-exempt status for a decade — have been brewing. The building lobby in Philadelphia has argued, generally, that the abatement has been the backbone of the city's real estate boom and that taking it away could significantly slow down the housing market. Critics of the abatement, conversely, believe that Philadelphia has been subsidizing the development industry for too long — and that the tax revenue that has been going uncollected for 10 years could be used to boost the budgets of other municipal services or programs. Within the last year, multiple members of Philadelphia City Council have expressed interest in changing the abatement. Gillen said he expects to see even more of that. In September, City Councilwoman Cindy Bass introduced legislation to end the abatement — with Councilwoman Helen Gym signing on as a sponsor. City Council President Darrell Clarke has said it is time to "revisit" the abatement "as part of a broader conversation about equitable growth." And Councilman Allan Domb, a condo broker in Philadelphia, has floated ideas in the past for how to curtail the abatement, without eliminating it entirely. City Council President Darrell Clarke has said it’s time to “revisit” the city’s tax abatement.